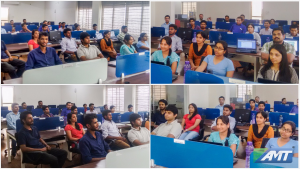 Advanced Millennium Technologies together with UnifiedInbox organized an Internet of Things Day event in Bangalore. Creating awareness about IoT was the main focus of the Event and how it could impact the lives of the common man. We wanted to inspire people to learn more about IoT and to discover its possibilities across different industry verticals. Somesh Kanti (In the above image) gave a breif Introduction about IOT to the audience. He also mentioned the importance of Technology in the present World. Everything is going to get automated in the years to come and it is equally important for all of us to know how to use these technologies for the right purposes. We had Mr. Aby Varghese (Co – Founder,AMT and UnifiedInbox) who welcomed the participants and introduced the whole purpose of the event. 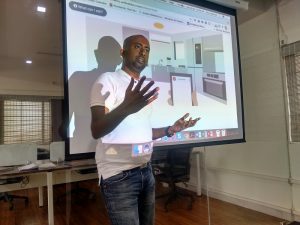 He also took the participants through the Demo of the Smart Home and discuss on the various options that could be implemented into the Home automation. The event showcased how the most popular communications channels, including Viber, WhatsApp, Telegram, Skype and SMS, could be used to remotely control smart devices ranging from lights to vacuum cleaners. We had eminent speakers who gave us a brief about how Smart Homes are trending at a rapid speed. Now a days every human being wants to have a better standard of Living. Hence advancement through Technology is taking place at a rapid phase. A technical gig regarding Internet of things API was one of the key topics that was covered by Abu S Thattayil (In the above image). Participants who had queries were very well appreciated and most importantly cleared all their queries. All those who participated got a clear information of the whole process and were very much satisfied after attending the session. We had good number of Participants who were very interactive throughout the session. A lot of new ideas were generated due to the involvement of the young minds. We at AMT look forward to host more such events with better Concepts/Topics that could benefit the Generations to come.